I know we want to mix our own skin tone. 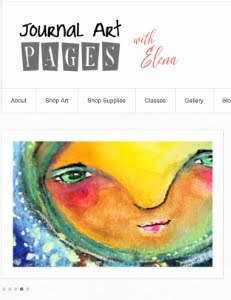 But, honestly, sometimes, I REALLY prefer to use something that will get me started, especially when I want to stay consistent with the colour in my illustrations. 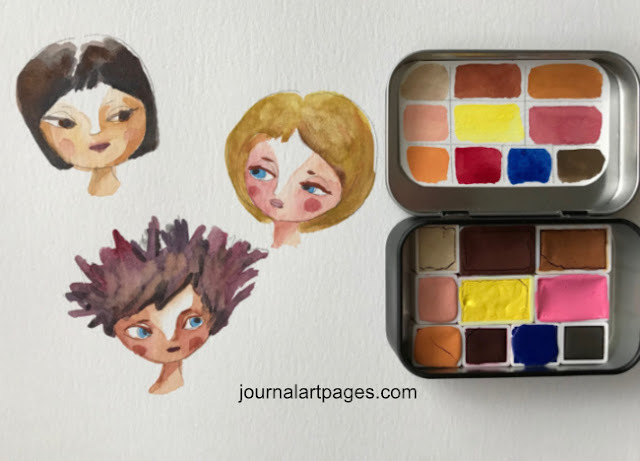 I came up with this mini palette of 6 colours that I use the most, when painting my characters. 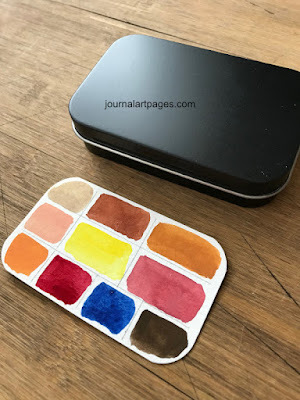 Handmade watercolours in a travel mini tin. All of these paints are handmade with artist pigment. 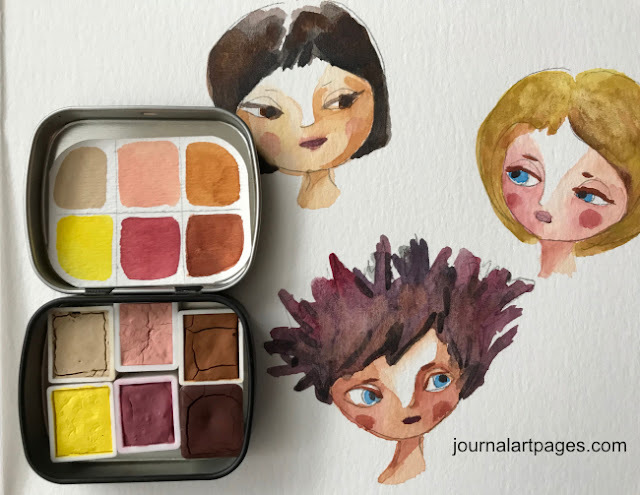 And, of course, if you do like to mix an absolute huge variety of skin tones, we can go a bit back to the basics and (gosh forbid we forget how to mix), I made an extended version of this palette. I find that this combinations of pigments will give you A LOT OF CHOICES, lol. Well, if you had a chance to try these colors and used them for your SKIN TONE palette, I would love to hear from you.